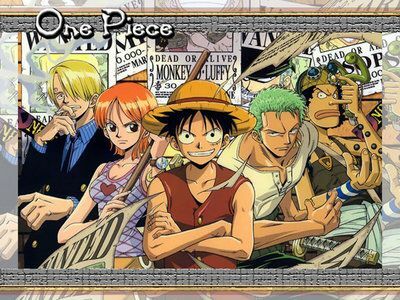 You are going to Watch One Piece Episode 228 English dubbed online free episodes with HQ / high quality. Stream Anime One Piece Episode 228 Online English dub Duel Between Rubber and Ice! Luffy vs. Aokiji! Robin is frozen by Aokiji and Luffy tells the others to escape with her. In the Going Merry, Usopp and Chopper try to thaw her in the shower. Luffy gets defeated (frozen), but his life is spared as Aokiji believes he must repay the debt the marines incurred from Crocodile’s defeat at Luffy’s hands. With the crew defrosted, they continue sailing as usual. Zoro spots the giant frog they heard about and they chase it to an island with a lighthouse, but it appears they’ll sink before they get there.